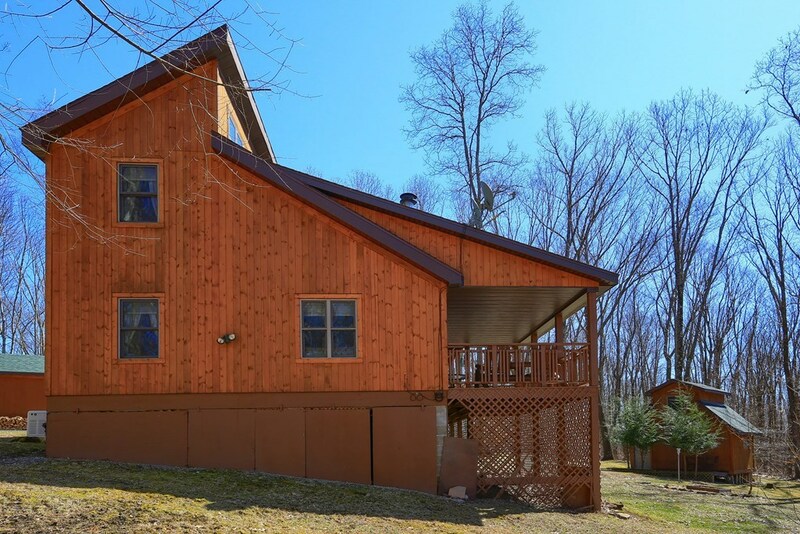 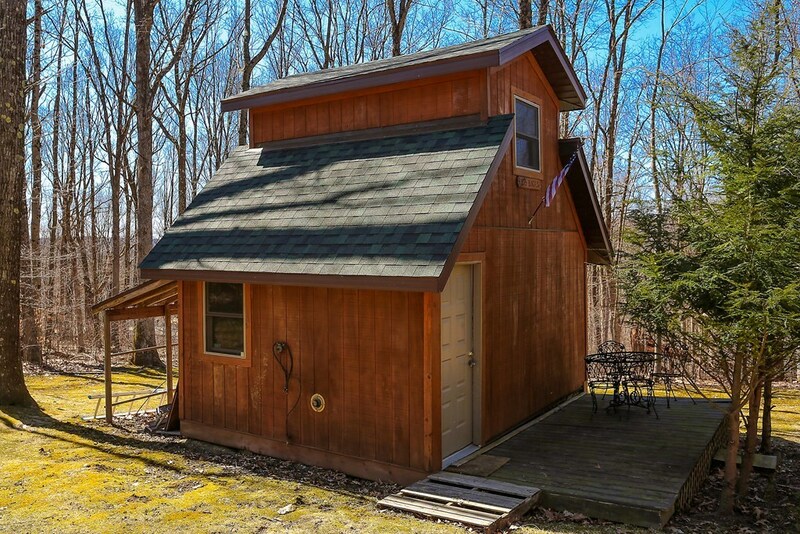 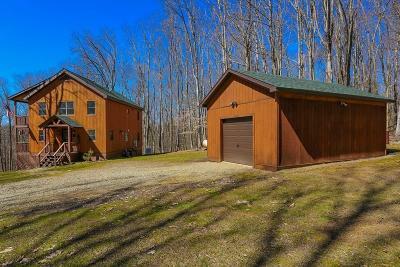 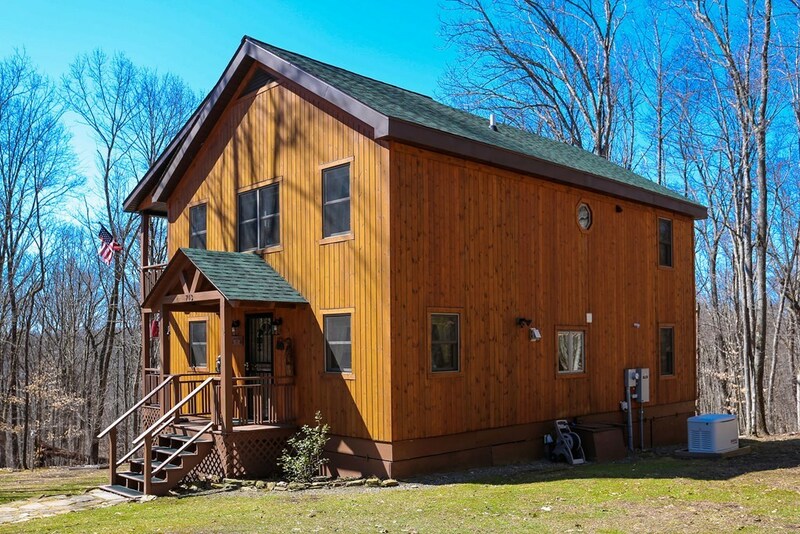 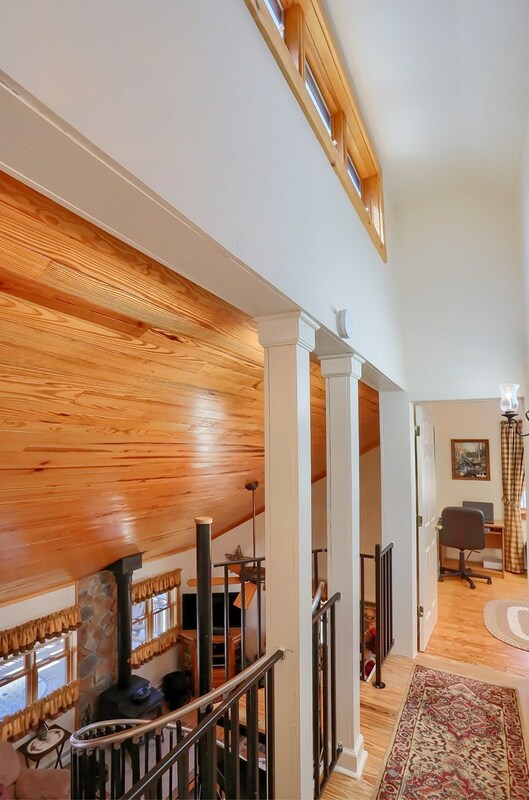 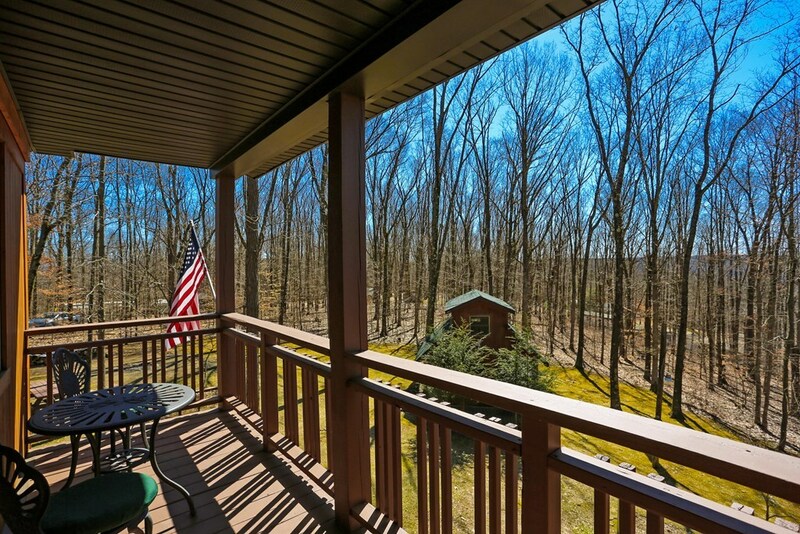 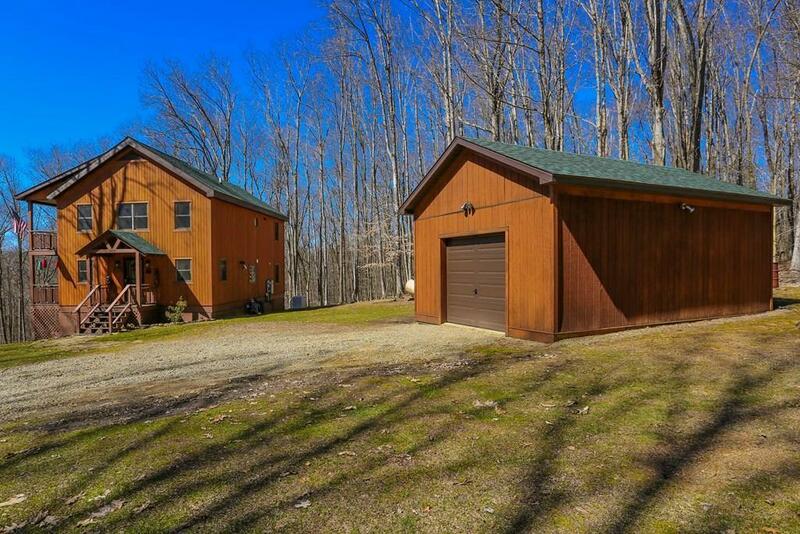 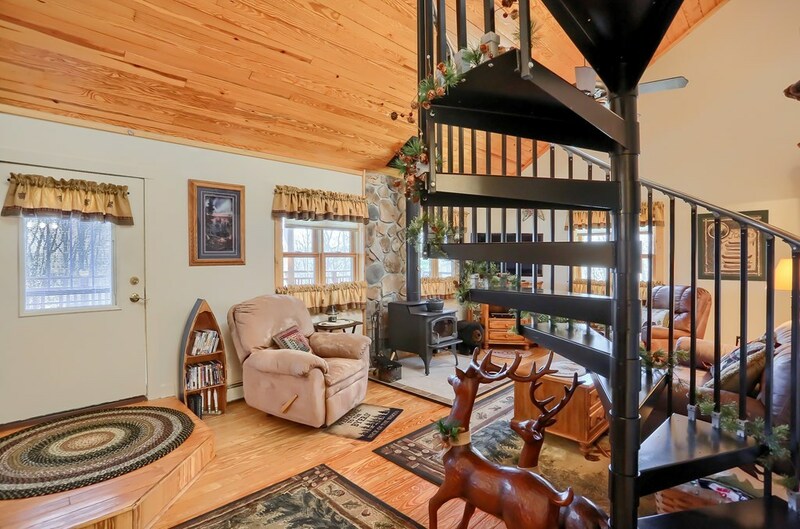 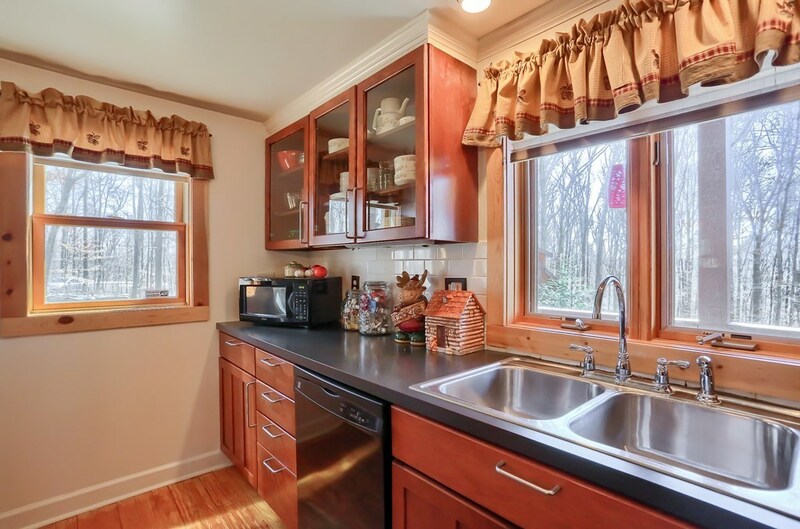 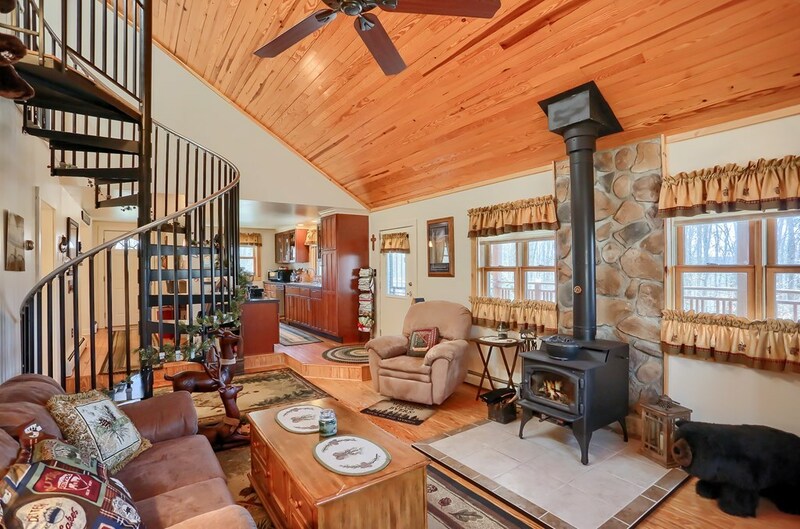 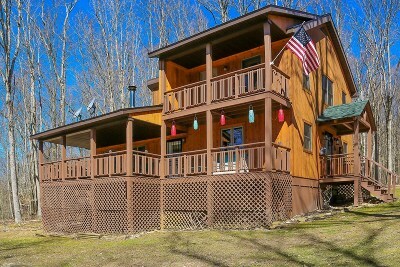 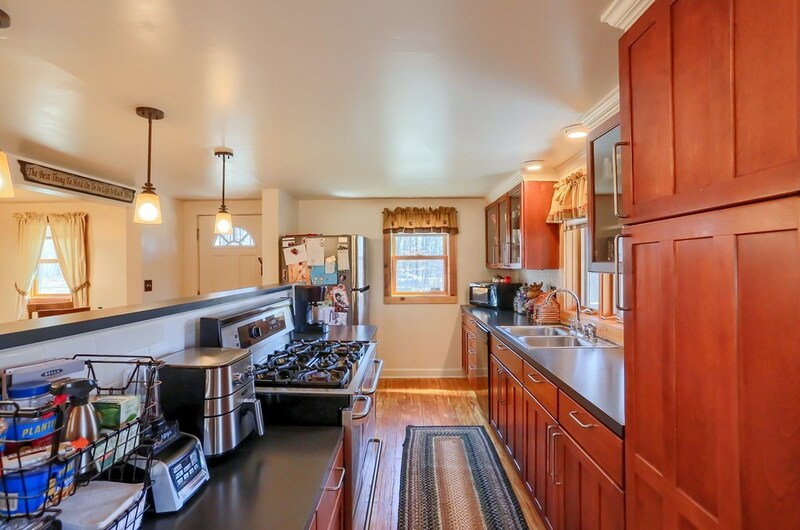 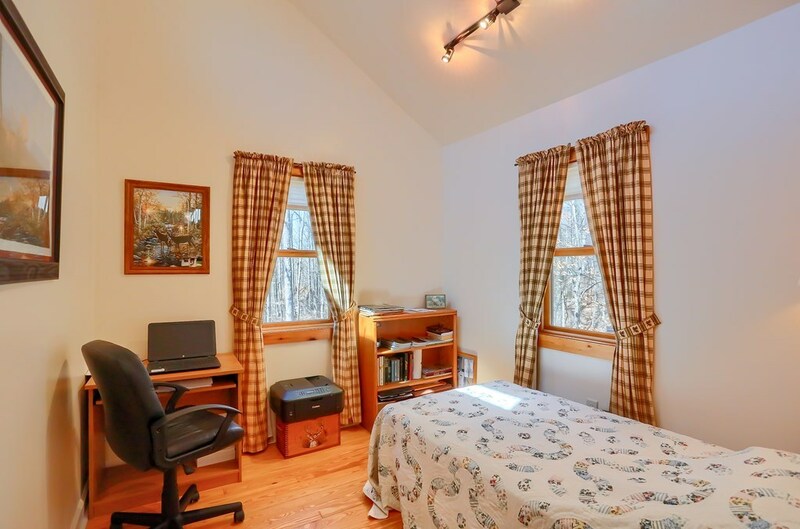 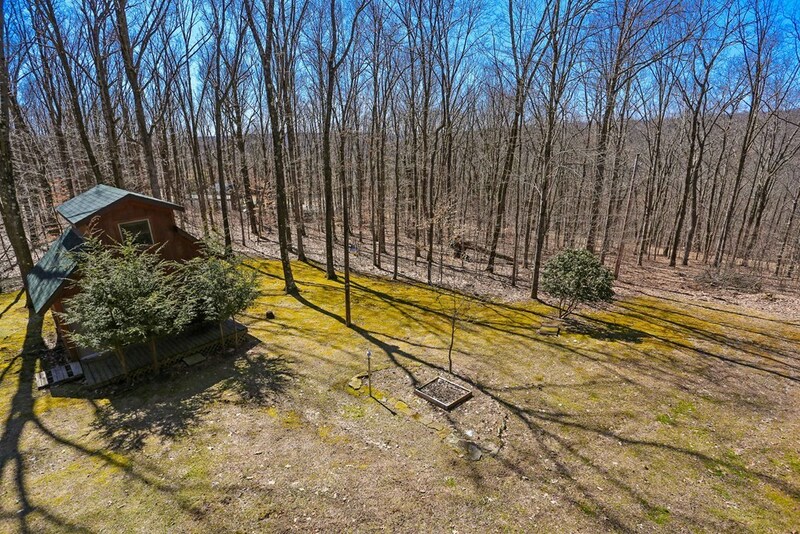 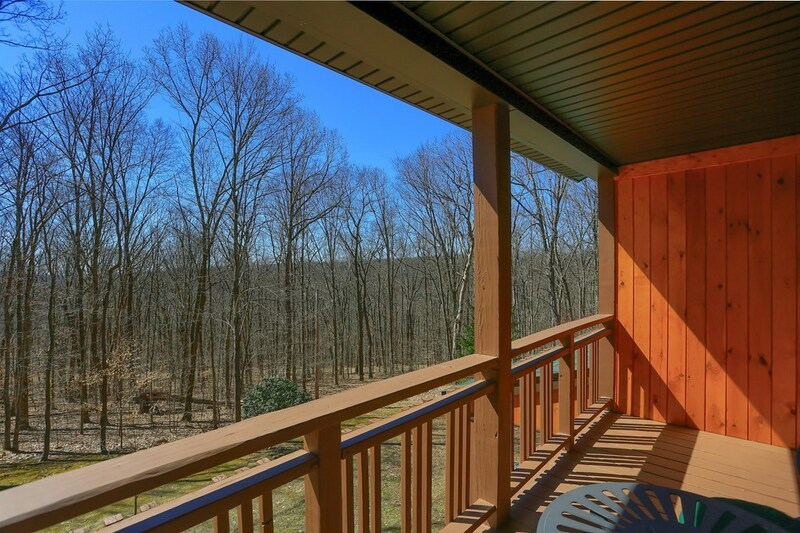 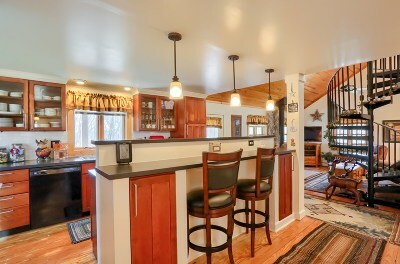 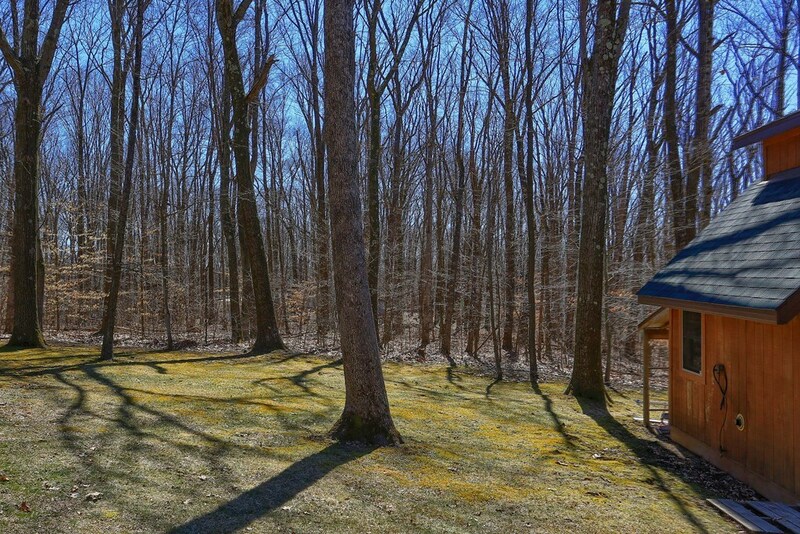 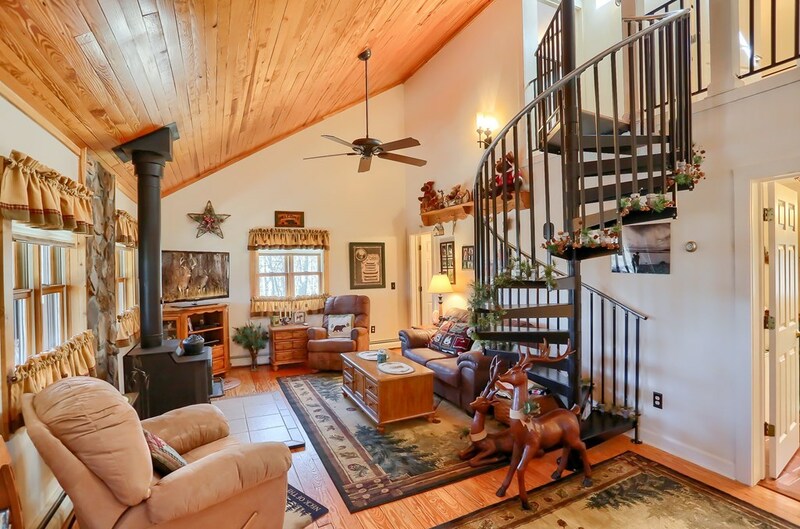 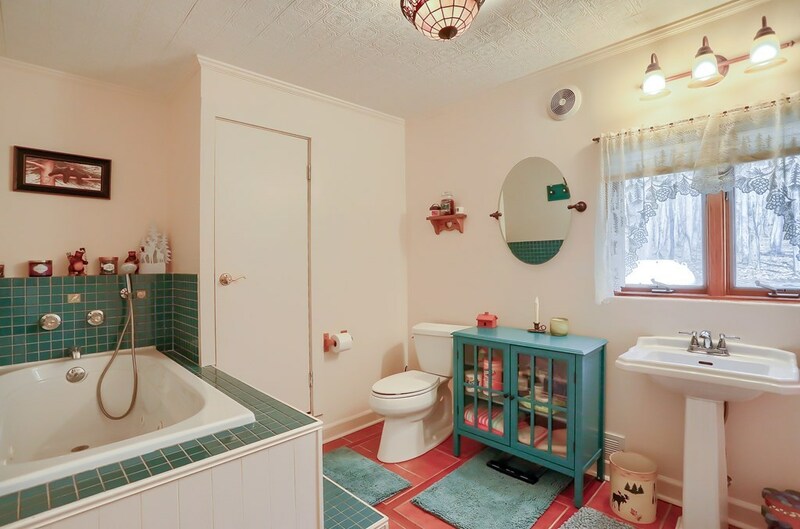 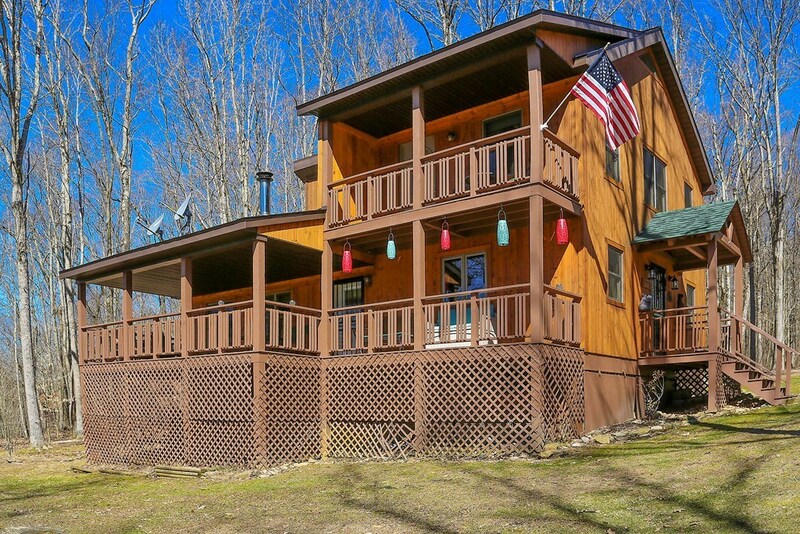 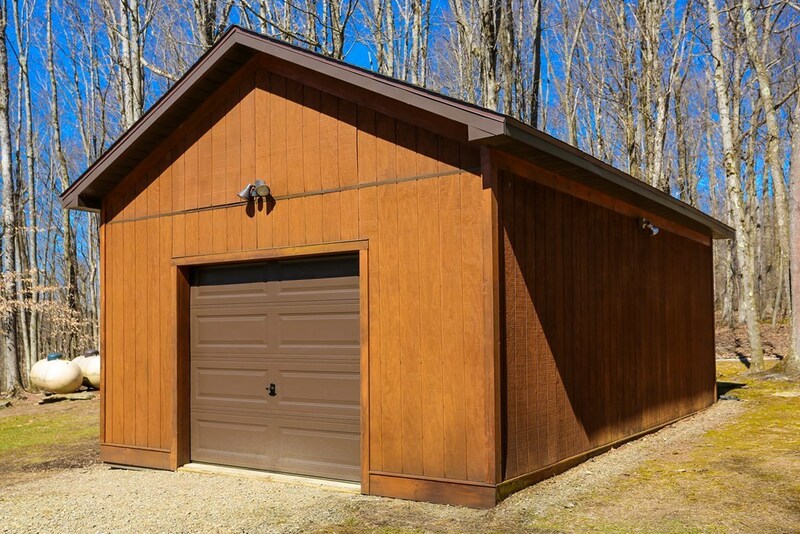 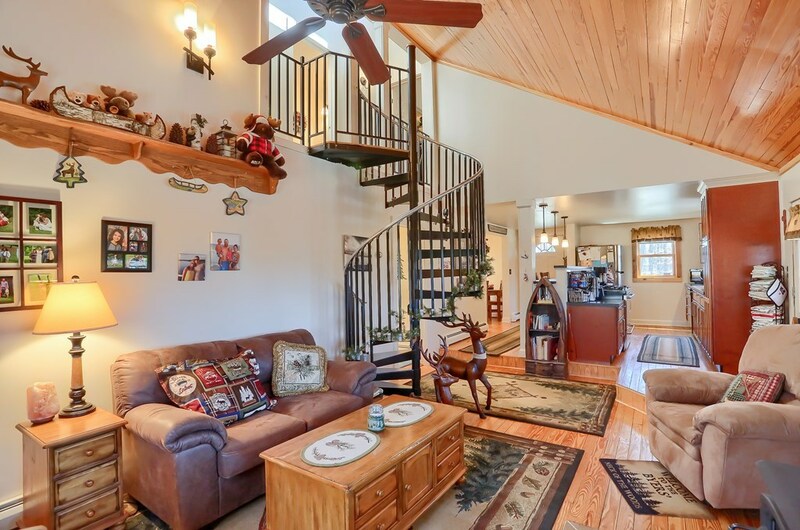 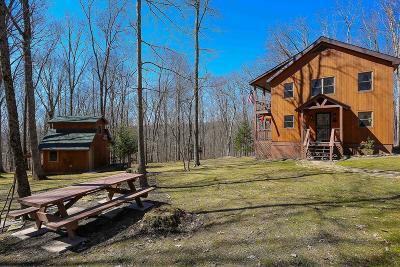 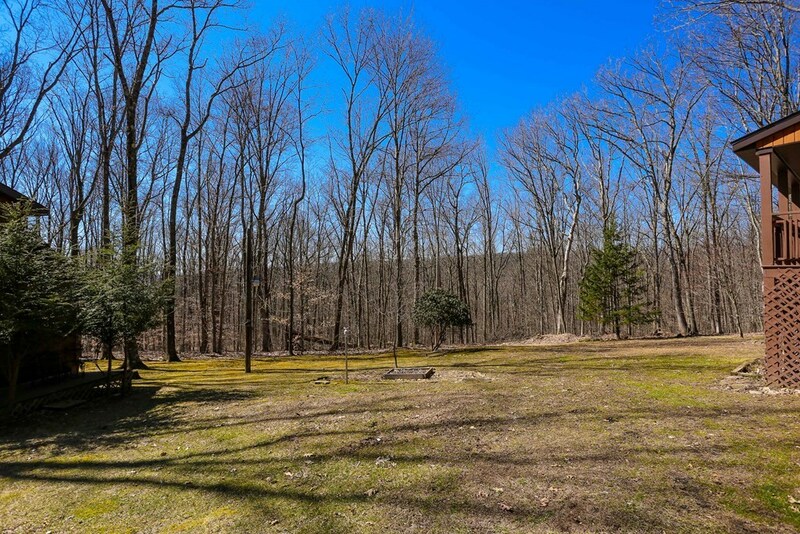 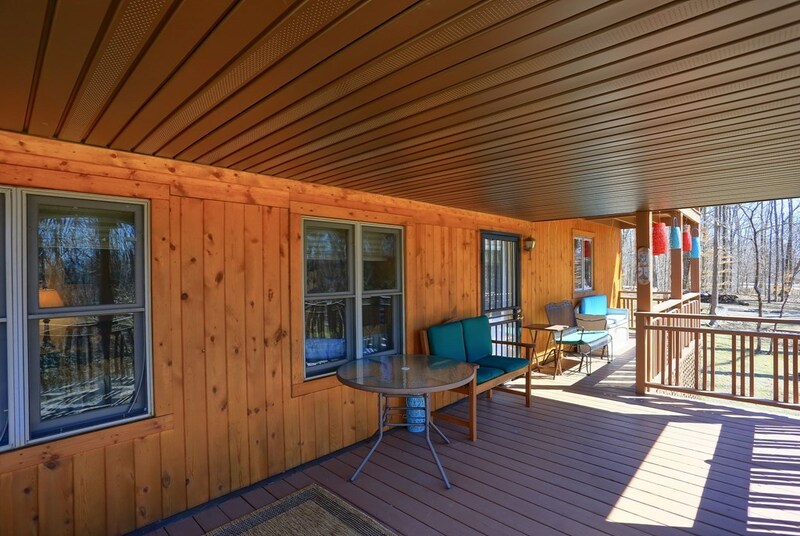 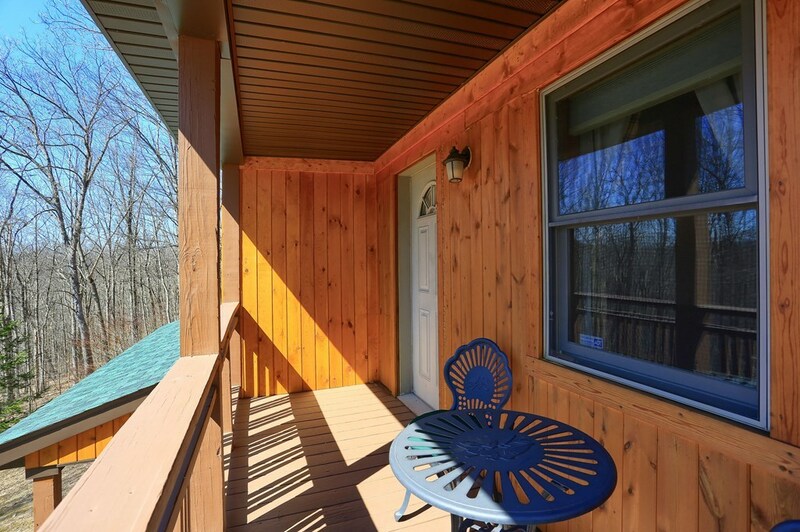 Nestled in the trees, high on the mountain within the Allegheny National Forest sits a secluded 3 bedroom 2 bath contemporary cottage on 2.6 manicured acres. 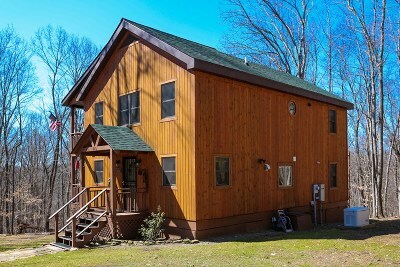 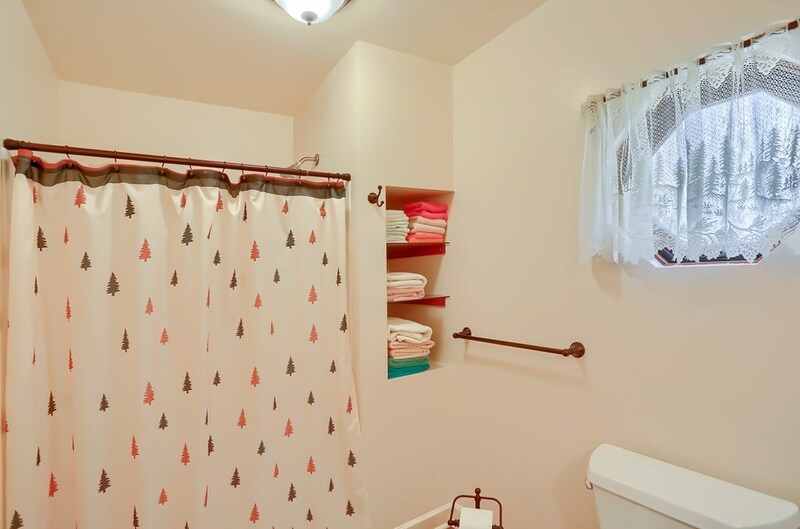 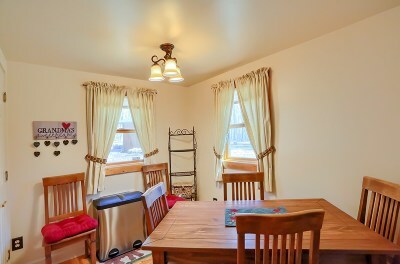 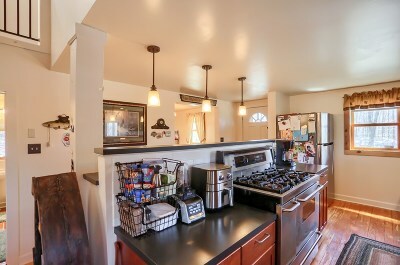 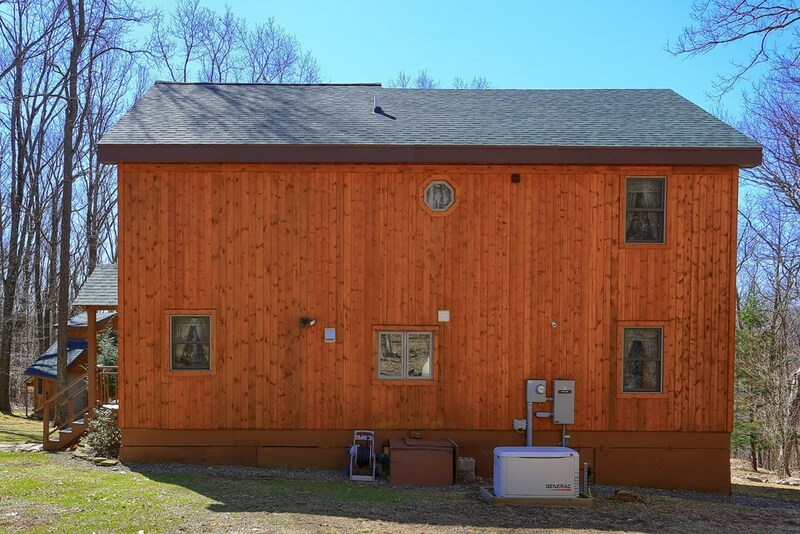 The well insulated home is equipped with public water, a new Lopi wood stove, new propane high efficiency boiler, new roofs on the 1 stall over sized garage, the guest cabin, and the main cottage. 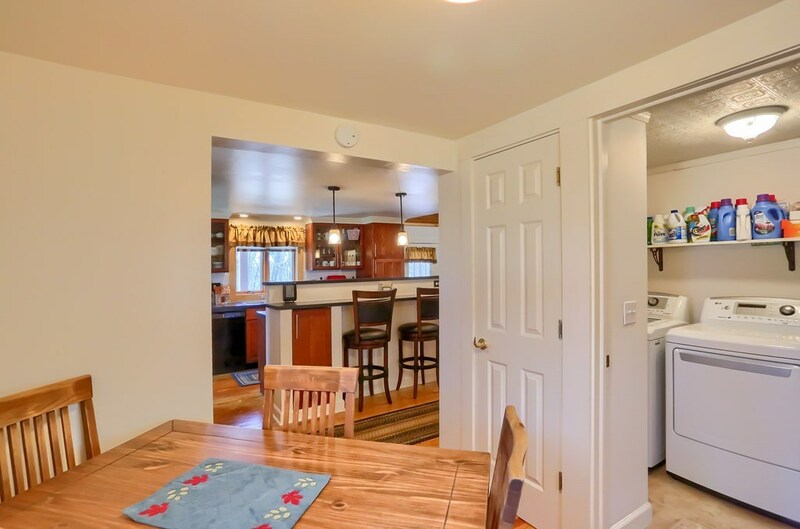 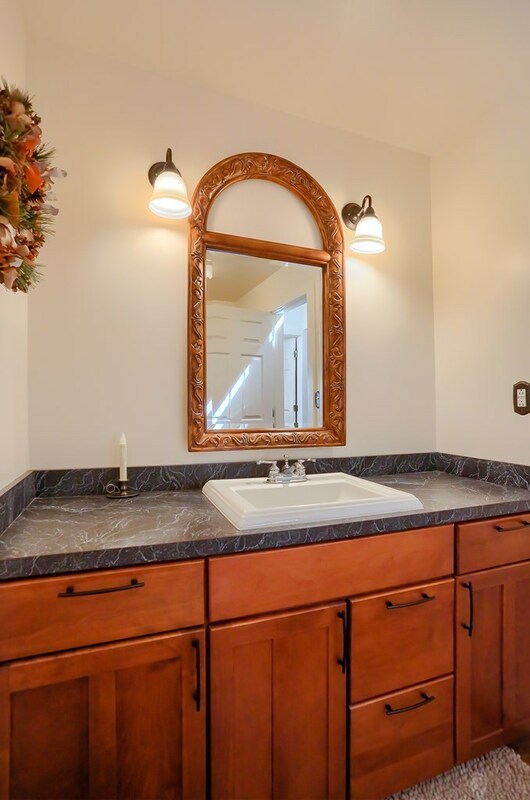 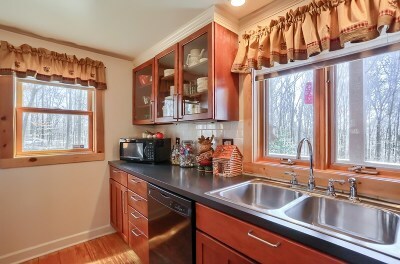 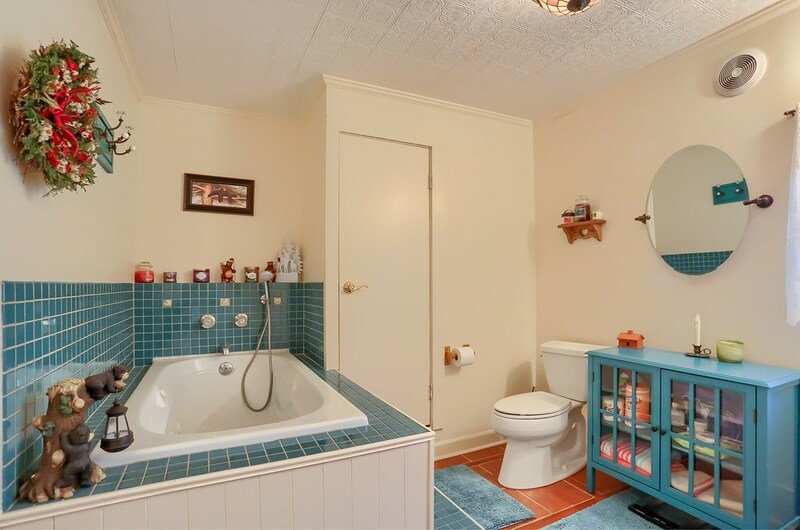 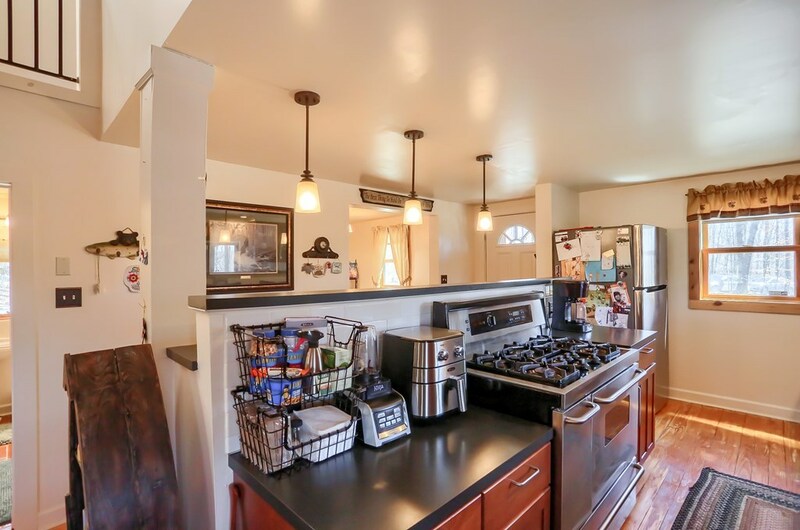 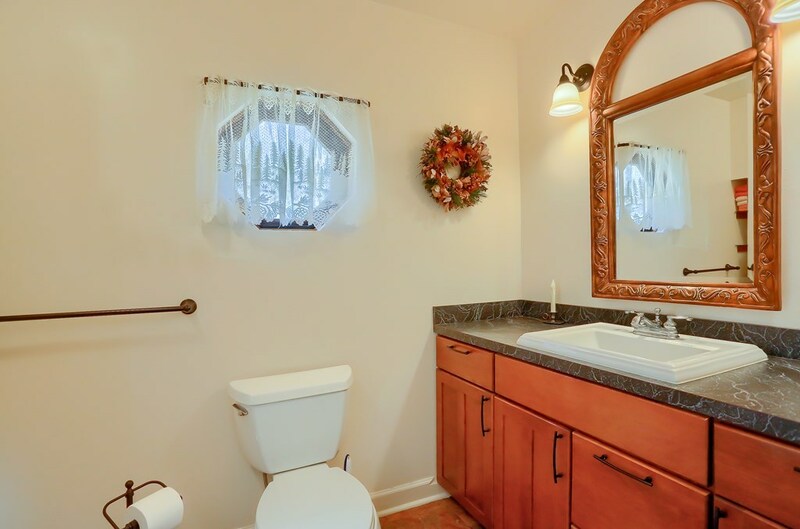 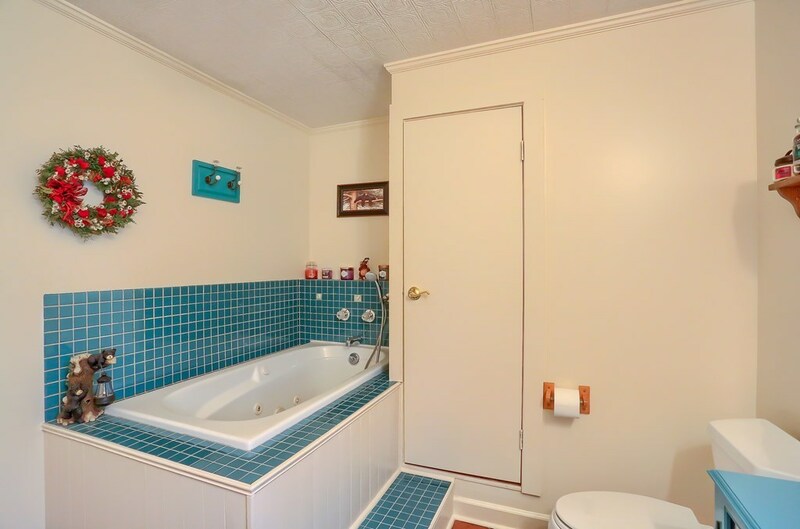 Within the home is an open floor plan consisting of a galley kitchen with high end appliances, laundry room, dining room, large bathroom with a jacuzzi tub, a cozy living room which opens out onto the covered deck, and a bedroom with a closet. 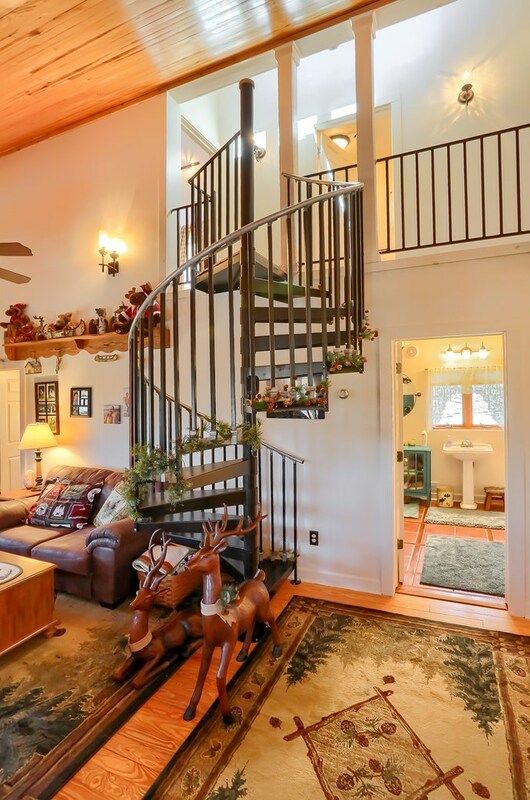 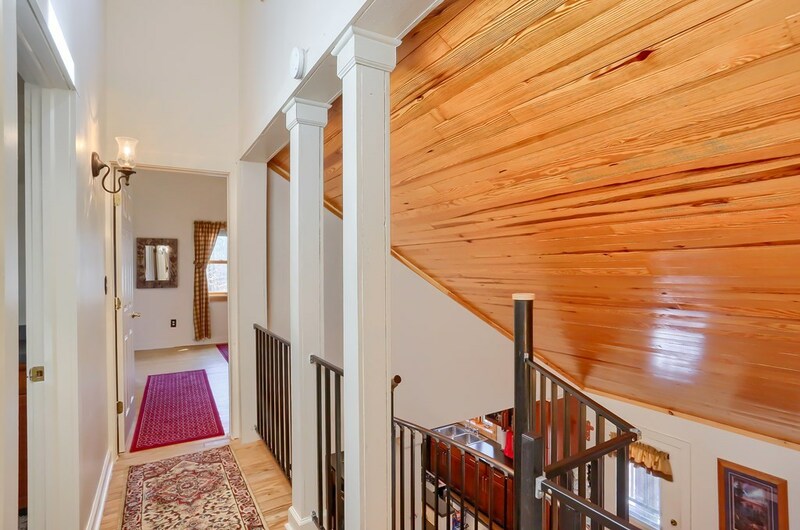 Make your way up the spiral staircase to the second floor with a bedroom on either side of the home and the bath in between. 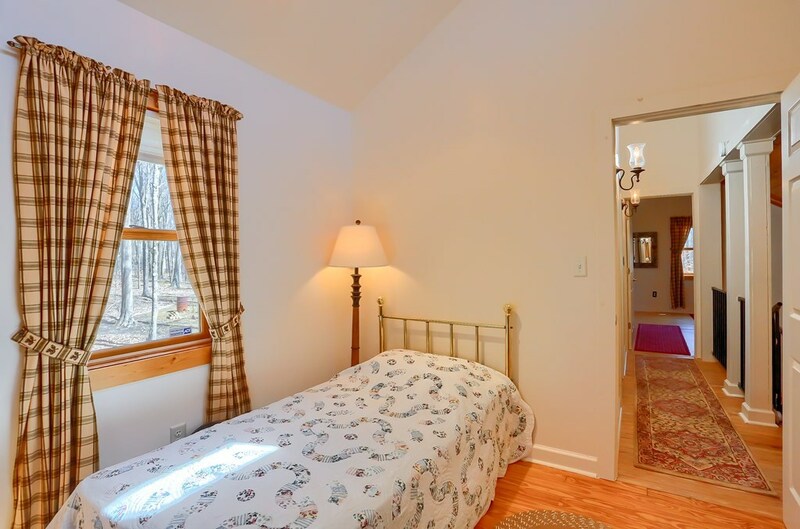 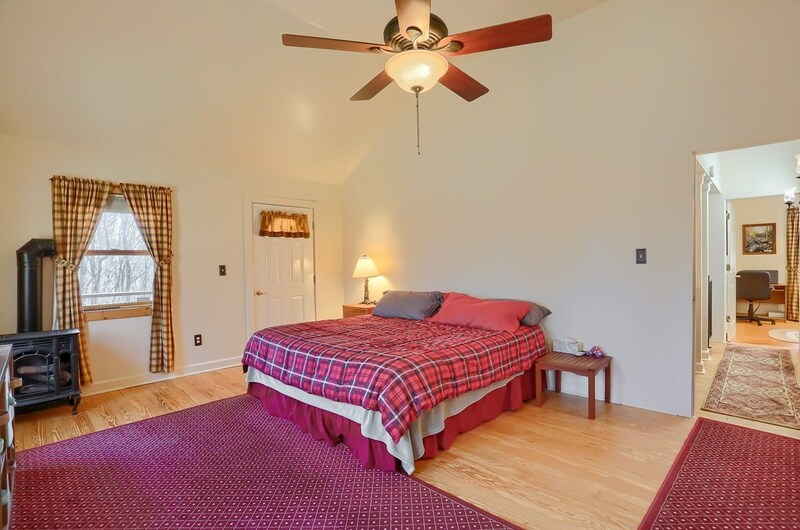 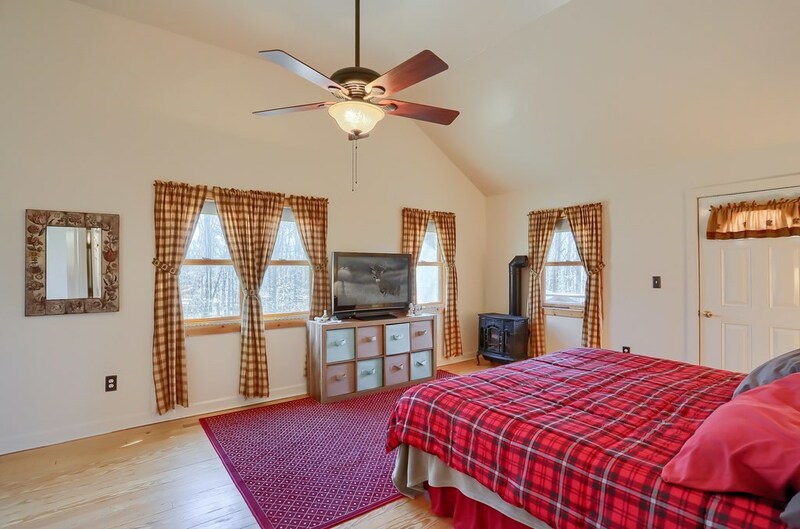 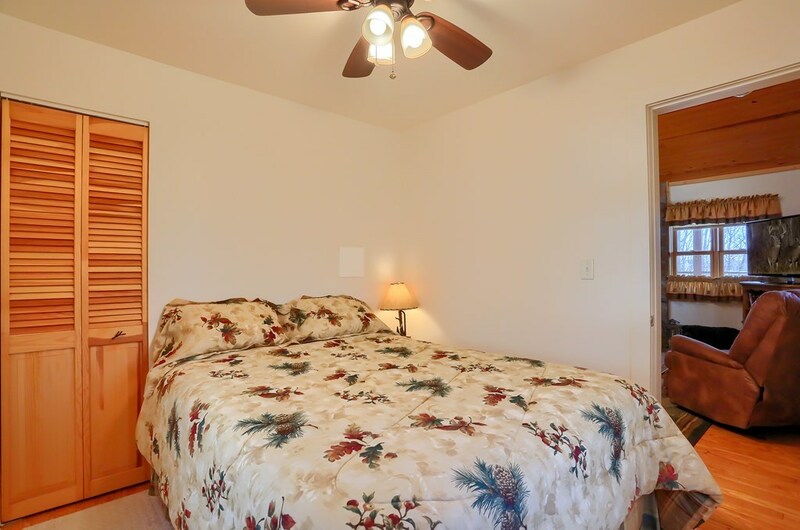 The master bedroom has ample space and includes a spacious walk in closet. 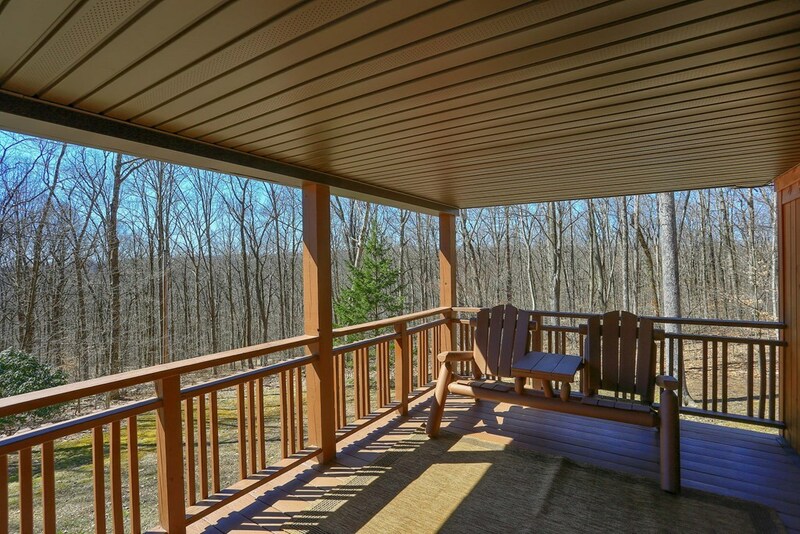 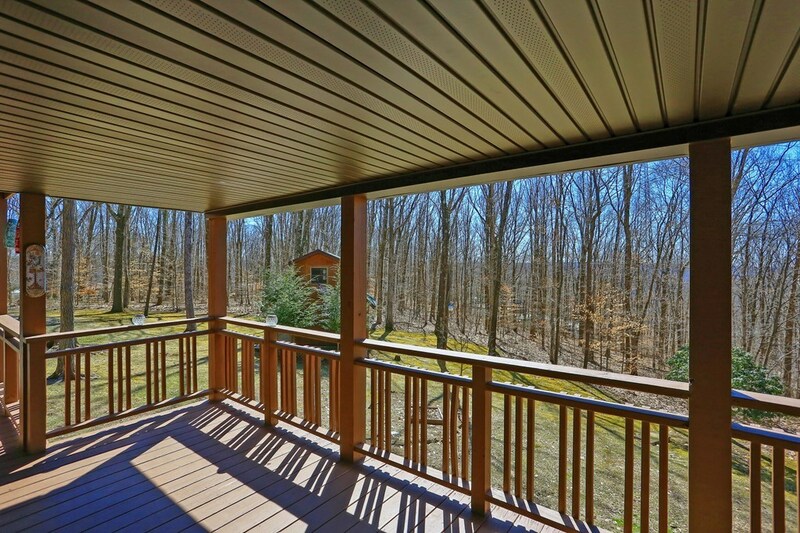 Off of the master bedroom is another covered deck overlooking the forest. 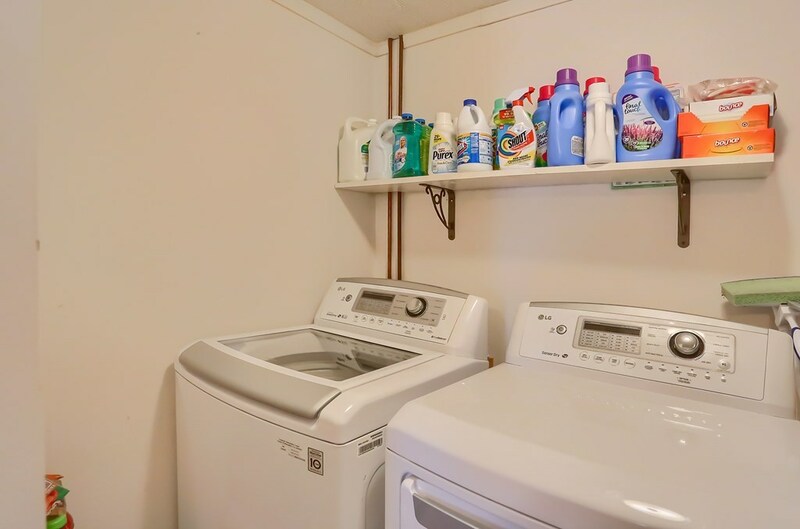 Included is a brand new propane Generac Generator. 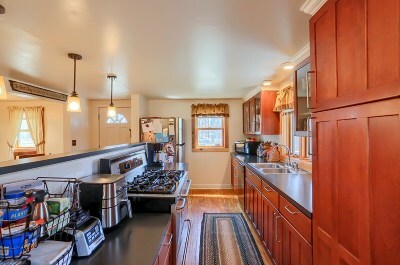 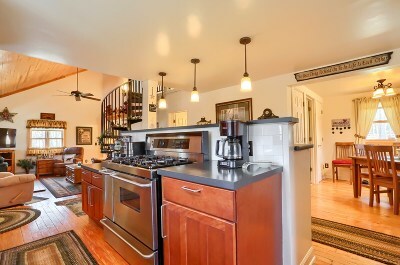 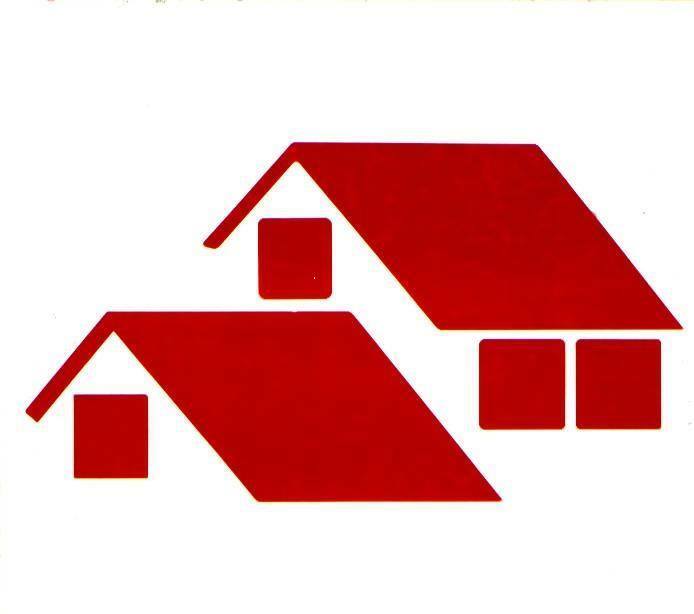 The home is move in ready and waiting for a new buyer!